Sea-level rise and extreme events have the potential to significantly impact coastal energy infrastructure through flooding and erosion. Disruptions to supply, transportation and storage of energy have global ramifications and potential contamination of the natural environment. On a European scale, there is limited information about energy facilities and their strategic plans for adapting to climate change. Using a Geographical Information System this paper assesses coastal energy infrastructure, comprising (1) oil/gas/LNG/tanker terminals and (2) nuclear power stations. 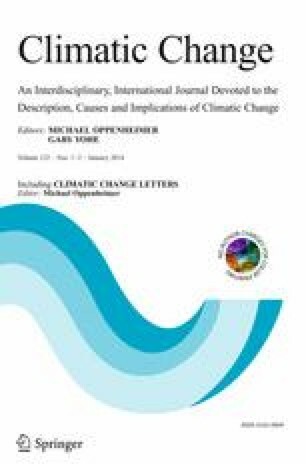 It discusses planning and adaptation for sea-level rise and extreme events. Results indicate 158 major oil/gas/LNG/tanker terminals in the European coastal zone, with 40 % located on the North Sea coast. There are 71 operating nuclear reactors on the coast (37 % of the total of European coastal countries), with further locations planned in the Black, Mediterranean and Baltic Seas. The UK has three times more coastal energy facilities than any other country. Many north-west European countries who have a high reliance on coastal energy infrastructure have a high awareness of sea-level rise and plan for future change. With long design lives of energy facilities, anticipating short, medium and long-term environmental and climatic change is crucial in the design, future monitoring and maintenance of facilities. Adaptation of coastal infrastructure is of international importance, so will be an ongoing important issue throughout the 21st century. SB and RJN were partly supported from funding provided by the European Commission (DG Research) 7th Framework Programme as part of the ClimateCost Project (Full Costs of Climate Change, grant agreement 212774) www.climatecost.eu. SB, SH and RJN were supported from funding provided by the EU 6th Framework project CIRCE Climate Change and Impact Research: the Mediterranean Environment (GOCE-036961) www.circeproject.eu.